TEL AVIV – Israel is entering its sixth year of drought, the Water Authority said Sunday, with many of the country’s waterways at a 98-year low. The Sea of Galilee is 214.2 meters (703 feet) below sea level, perilously close to its black line. Nevertheless, the average Israeli has not felt the drought as in the past, mostly due to the fact that the state has invested heavily in building five enormous desalination plants in recent years — providing some 70% of the country’s drinking water directly from the sea — and is building two more. Furthermore, Israel recycles some 86% of its waste water for agricultural purposes. Still, according to the Water Authority, which recently launched a campaign called “Israel is drying out… again” to raise awareness about saving water, the desalination plants may not be enough. Moreover, several reports have found links between desalinated water and heart disease. If the drought continues for another year, the authority may decide to place limits on water use. 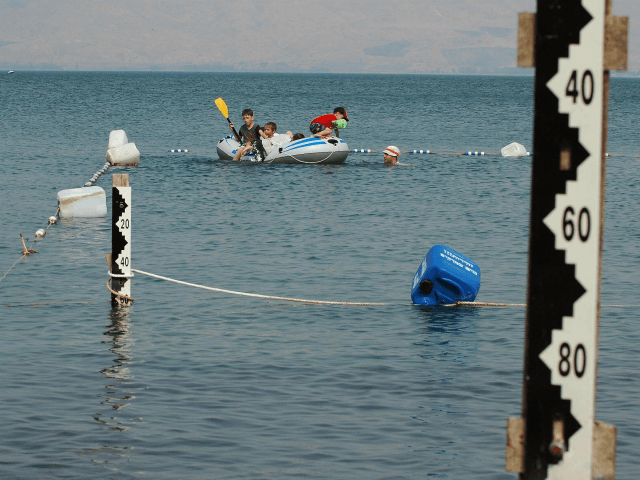 If the Sea of Galilee falls below the black line, it could result in irreversible ecological problems and damage to the water quality, making it unsafe for drinking. There is a newly formed island in the body of water, which may connect to the mainland if the drought continues. Some 2.5 billion cubic meters of water are lacking from Israel’s natural water supply reservoirs, the Water Authority said, marking a 98-year low.